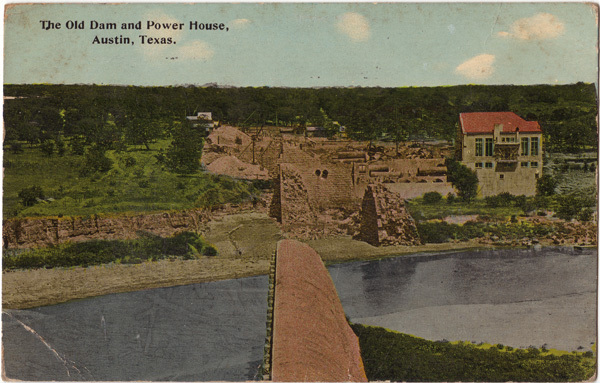 AustinPostcard - The Old Dam and Power House, Austin, Texas. Postcards > Floods & Storms > The Old Dam and Power House, Austin, Texas. The Old Dam and Power House, Austin, Texas. Nothing here. I go tonight to S.A. Have written Julia. Will write you in a day or so.This pen so bad can't write so good bye. Lovingly ??? Postmark: MAR 15-17 6-30PM AUSTIN TEX.